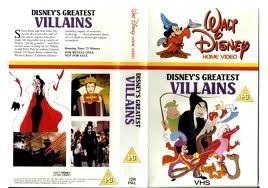 Disney's Greatest Villains. . Wallpaper and background images in the Disney club tagged: disney. This Disney photo might contain anime, bande dessinée, manga, and dessin animé. Disney Villain are evil. One of my favourite villiain back of it is Cruella De Vil. That's a Videos. I used to have lots of Disney Video when i was a child. When i was a child i used to have 101 Dalmatians Videos i had a Animated and Real Live. Also when i was a child i used to watch The Lion King lots and rewining it i use to have it on Video. Now i got Disney on DVD.